Seventy percent of change initiatives fail. Some reach the finish line but miss expectations. Some attain partial success. Some fizzle out and disappear. Still others are halted intentionally. So, how can you tell if your project is at risk to suffer a similar fate? Watch out for these three telltale signs your initiative is headed out to pasture. An organization’s leaders have limited tolerance for continuing to put resources into something that doesn’t generate tangible benefits. If the initiative is not meeting expectations, they might make a decision to end it. Example: A process improvement effort met its goals for increasing ideas submitted by employees, but struggled to meet its financial objectives for cost reductions. After 18 months, top executives pulled the plug. Remedy: Manage expectations. Report progress. Generate wins as soon as possible. When implementing a new process, method or tool, it is common for people to duplicate the job in parallel (both the old and new) for a limited period of time. If, after that time period is over, people still duplicate the same work with the old method, “just in case,” they are not yet convinced that it will work for them. It is a sign that the new way will be dropped as soon as you turn your attention to something else. Example: A new reporting system made a production schedule maintained in an Excel spreadsheet redundant. The plant scheduler continued to enter the information into both systems, even after the trial period. Eventually, the new report was dropped. Remedy: Fix what doesn’t work in the new system. Stick with it until the old tool is out of circulation. 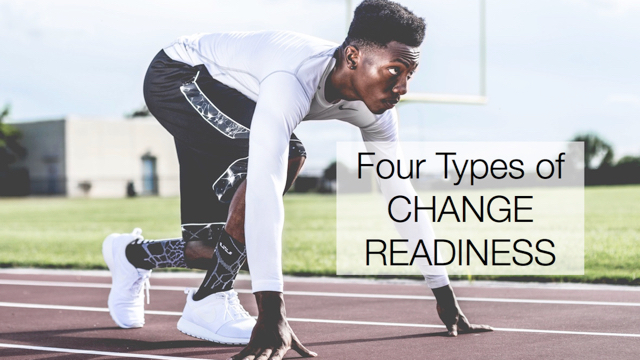 If your change initiative is added to a meeting agenda as an afterthought, or is left to the end so it can be dropped if time runs out, watch out! It’s a clear sign that the project has lost its priority. Example: An organization’s balanced scorecard was reliably the first thing on the agenda of monthly leadership team meetings. Until one month, when it was scheduled for the end of the meeting. The following month it was not on the agenda at all. Then the scorecard was forgotten altogether. Remedy: Conduct separate meetings for your initiative. Address underlying resistance. It can be difficult, even impossible, to bring your initiative back from the brink. To keep your initiative from ever getting to that point, apply the essential ingredients of change from the beginning and for the duration of the project.